NEW PRICE! 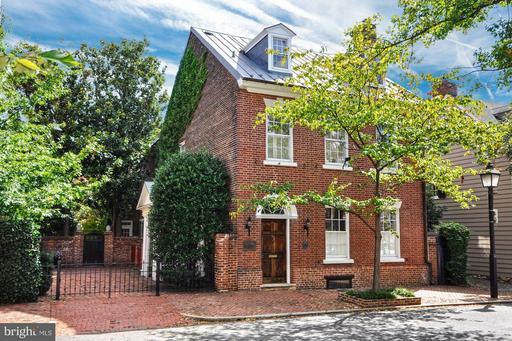 The Boyhood Home of Robert E. Lee in the heart of Old Town Alexandria! Historic property on a majestic half-acre of tranquil gardens with grand renovated living space. The subject of a detailed complete, professional restoration - it is a newly-functional structure in an antique and beautiful envelope. 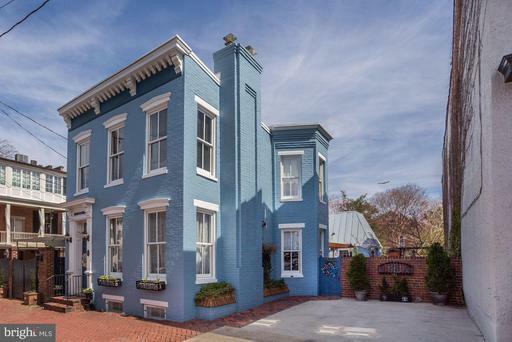 A registered VA Landmark, and listed on the National Register of Historic Places, this address is also rated a "Walkers Paradise" by WalkScore.com - with eclectic shops, dining, grocery, Founders Park, Potomac River waterfront marina, and more, all just moments outside the doorstep! Only minutes to downtown DC or Amazons future HQ2 in Crystal City! Welcome to 217 South Fairfax, one of Old Towns most outstanding and desirable properties. 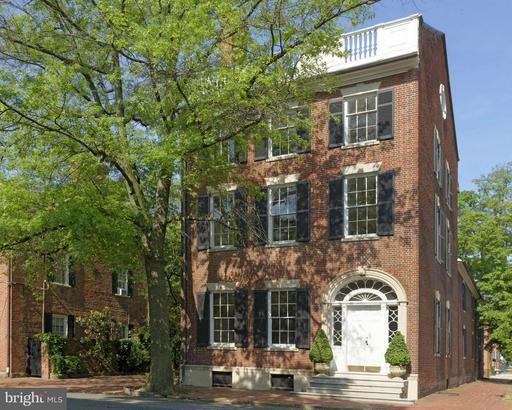 The Sanford Dempsey House is an in-town historic estate that offers modern luxury and enduring craftsmanship. 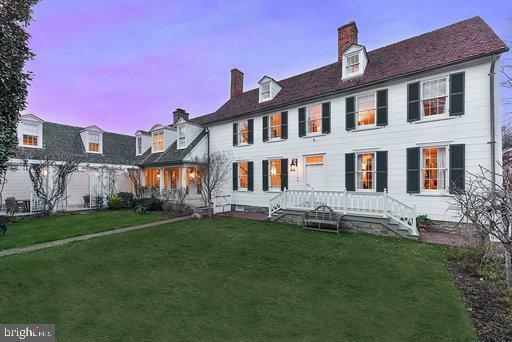 Built Circa 1780, the home has been masterfully expanded and updated to modern luxury standards. With over 9,000 sf of luxe living space, the home has 6 bedrooms, 6 and 1/2 bathrooms, and impressive rooms for entertaining and comfortable living. A double garage and expansive driveway offer private off-street parking for 5 cars - right in the heart of Old Towns historic district. 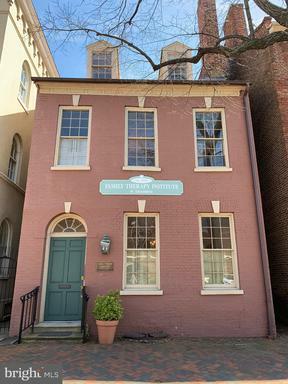 The property boasts a subterranean theater/media room, large chefs kitchen and catering pantries, a guest suite with its own kitchen, bath and living rooms, and an historic smoke house recently converted into a SMART office. Extensive handcrafted moldings, original wide-plank hardwood flooring, and six fireplaces with hand-carved limestone mantles set this home apart. The property has been upgraded to modern technical standards with cat 5/cat 6 cabling, cameras and Mobotix panels throughout the house for one-touch controls for Savant and smart home automation. Located only 2 blocks from King Street and the waterfront, the house sits in a prime location and on a spacious double lot. The quarter acre lot is graced by lush lawns and manicured specimen gardens, including a trellised wisteria which surrounds a lovely outdoor patio. 217 South Fairfax -- Old Towns finest address. NOW OPEN BY APPOINTMENT FOR PRE-CONSTRUCTION SALES! Perfectly situated along the Old Town waterfront, Robinson Landing will feature new townhomes and condominiums, shopping, dining, a revitalized pier, new public promenade more. Residents will enjoy luxury amenities including state-of-the-art fitness center yoga studio, all just steps from the Potomac riverfront. OPEN BY APPOINTMENT FOR PRE-CONSTRUCTION SALES! Perfectly situated along the Old Town waterfront, Robinson Landing will feature new townhomes and condominiums, shopping, dining, a revitalized pier, new public promenade more. Residents will enjoy luxury amenities including state-of-the-art fitness center yoga studio, all just steps from the Potomac riverfront. Historically significant detached brick house with new copper roof on 2 lots in prime location w/smokehouse, recent renovations, sun-filled rooms, 2+ car Pkg! Beautiful gardens surround this unique property that enjoys the ultimate in privacy southern exposure. Hi ceilings, heart pine floors period woodwork add to the gracious 18th C. rooms w/integrated 21st C. amenities for a grand residence. Oasis in the City w/parking! Extensive restoration of this detached historic home using the finest materials finishes. Spectacular lot w/ gorgeous walled garden heated pool! 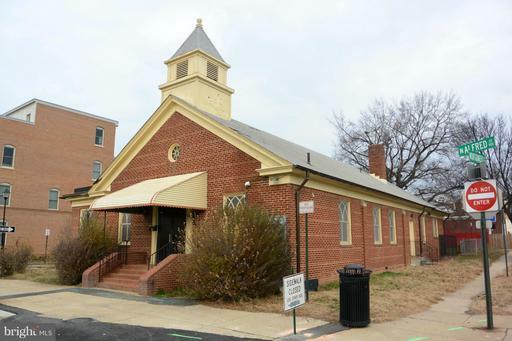 Spacious rooms w/tall windows, 12 ceilings, rich moldings, heart of pine floors 2 gas fpls. Chefs kit, 2 wet bars open flr plan for entertaining w/ seamless flow from interior to exterior spaces.Attention to Detail! 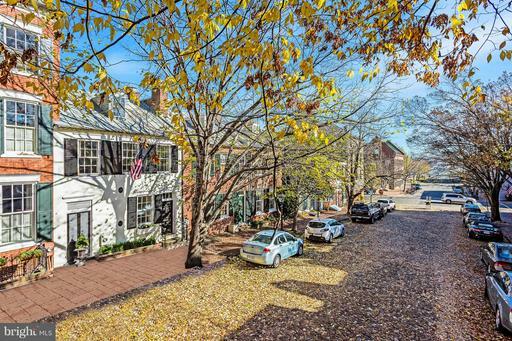 This spectacular waterfront townhouse is perfectly located in historic Old Town, Alexandria, named one of the top five best small towns in America. 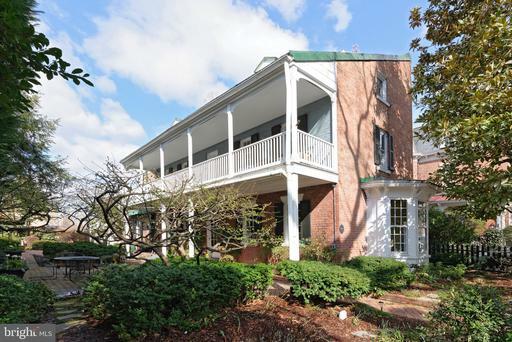 With expansive Potomac River views from all five levels, this home is an oasis of calm and serenity, just three walkable blocks south of vibrant King Street. Enjoy watching sunrise over the river, boating activity during the day, and the festive lights of National Harbor in the evening. Situated in the meticulously manicured private neighborhood of Harborside, this home has been completely updated, remodeled, and renovated, with close attention to quality finishes. Featuring an elevator that services all five floors, it is not only elegant and classic, but comfortable and practical. Completing the appeal of waterfront living, a 40~boat slip in the adjoining marina is part of this offering.On the first level, the two-car garage is thoughtfully heated, while the sophisticated marble foyer sets the tone for the rest of the house. The entry level also features a welcoming Family Room with a gas fireplace. French doors open to the walled brick patio from which the wooden gate provides direct access to the waterfront pathway. The patio, bordered by gardens just readied for spring, is a perfect spot for al fresco dining and entertaining. A Powder Room and coat closet are also conveniently located on the ground level. The staircase with landing leads to the second floor, where morning sunlight streams through the Living Room~s four glass-paned doors, reflecting off the stunning water views. This spacious room has crown moulding, wood floors, and a gas fireplace with marble surround. Conducive to entertaining, the Living Room opens to the Dining area and gourmet chefs Kitchen, an inviting space for both cooking and conversation. The custom Kitchen features a large island, Sub-Zero French door refrigerator/freezer and wine storage unit, Wolf gas cooktop, electric convection oven and microwave, and Miele dishwasher. The second Powder Room is located on this level. Entered by double doors, the entire third floor of the house is dedicated to the Master Suite. The luxuriously-sized bedroom overlooks the Potomac, and features a peaceful sitting area with a gas fireplace. The elegant marble bathroom is finished with heated floors and towel rack, built-in vanity with lighted mirror, and a shower with two fixtures Nearby, a graceful soaking tub invites relaxation. A separate water closet, two walk-in closets with custom closet systems, and a well-placed laundry room complete this personal space. Welcome family or guests to two spacious en suite bedrooms, located on the fourth floor; each boasts generous closet space with built-in storage. A large, organized utility closet for household items is adjacent to the elevator on this level.The fifth floor offers a a variety of choice for its use. Currently a cozy den with TV, and space for games and crafts,this hideaway could easily be utilized as a fourth bedroom, office, or exercise area. This level features a large full bathroom, abundant closets and cubbies, two skylights, and a rough-in for a wet bar. East-facing sliding glass doors open onto a private balcony; with breathtaking views of the Capitol and Washington, DC, this is an enticing perch at the end of the day. Recessed and accent lighting has been added throughout the house, enhancing evening ambience. Custom cabinets and draperies, high-end lighting and plumbing fixtures, two-panel solid core doors, and beautiful stone and tile work all are indicative of the care and attention that have been given to this lovely renovation. 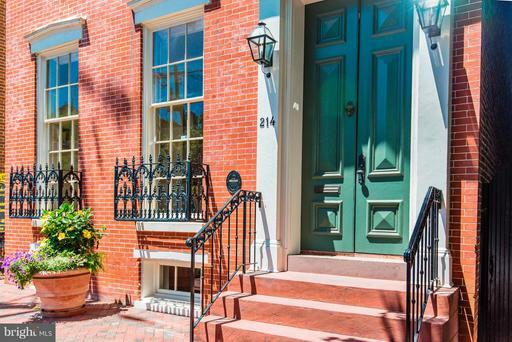 Harborside , located in the sought-after southeast quadrant of Old Town, was built to blend seamlessly with the neighboring Federal and Colonial Revival homes. Adjacent, is the the newly redesigned Windmill Park, with a community dog park. A perfect offering! 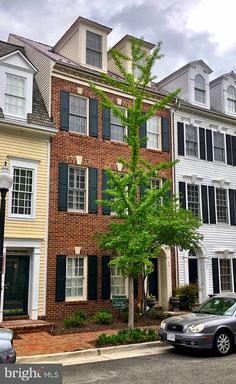 NEW ELEVATOR TOWNHOME IN OLD TOWN AVAILABLE FOR EAR;Y 2019 MOVE-IN! 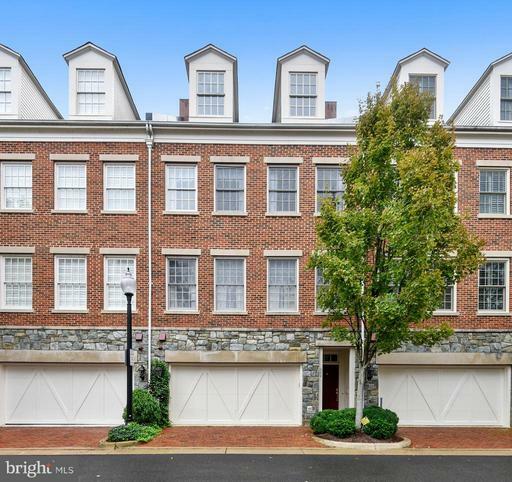 This beautiful Delaney, end townhome features 4 Bedrooms, 3 Full Baths, 2 Half Baths, 2-car Garage, Loft Rooftop Terrace with outdoor wetbar more. 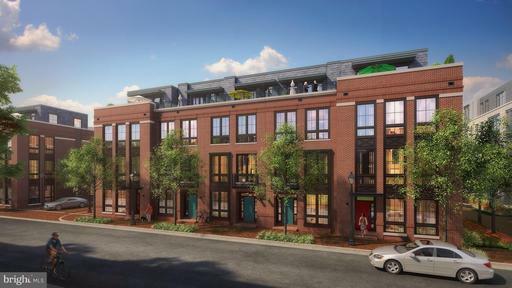 Perfectly situated along the Old Town waterfront, Robinson Landing will feature new townhomes and condominiums, shopping, dining, a revitalized pier, new public promenade more. Luxurious one level living in this stunning 3 BR 2.5 BA condo with river view from 2 terraces. High ceilings, floor to ceiling windows, chefs kitchen with integrated appliance cabinetry for Bosch,Wolf,Subzero, quartz counter tops. Handsome hardwood floors, spa-like bathrooms, two master walk-in closets and indoor/outdoor gas fireplace. 3 garage parking spaces. 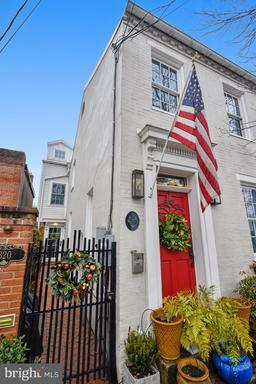 One of the premier waterfront properties in Old Town! 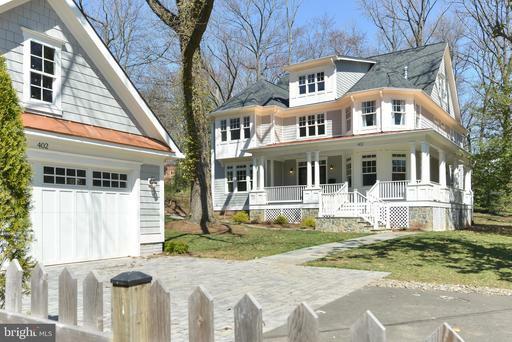 This unparalleled waterfront home in Fords Landing features glorious Potomac River views! Enjoy the Maryland shoreline and birds which lay claim to the nearby pilings. Experience complete serenity from your waterfront patio off of the family room and stunning water views from the living room, master suite and fourth bedroom. Eastern exposure offers loads of light throughout! Residence perfectly suited for entertaining with gracious, open living space and comfortable private space in the family room, kitchen and breakfast/sitting area. Grand master suite! Three additional bedrooms, two full and two half baths! Upgrades include granite countertops and top-of-the-line appliances in the kitchen, newer hardwood flooring on two levels, two-foot porcelain tile in the family room and all new marble in the master bath. Two car garage! All furniture is for sale! 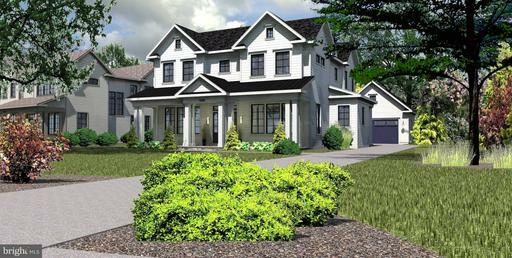 Elegant and sophisticated turn key custom built home. Recently renovated top to bottom with unsurpassed quality. Both Main Level and Upper level Master BRs plus bedrooms with ensuite baths. Gracious center hall entry with banquet size rooms to entertain large parties. Chefs kitchen with Commercial appliances. Exquisite millwork and hand crafted moldings throughout. Recently replaced roof, HVAC, Windows and appliances. Year round outdoor swimming with removable cover. A true classic beauty. Exquisitely built and maintained to perfection. 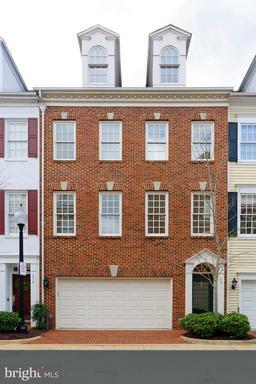 Like-new and light-filled, end-unit townhouse with elevator! Built in 2016, this stunning home features designer finishes throughout: Snaidero cabinetry, Thermador appliances, Waterworks bath fixtures, Caesarstone counters, upgraded window treatments, custom closets, contemporary gas fireplace with marble surround hardwood floors throughout. Marble in owners bath powder room. 2-car garage plus new rear patio to be installed with privacy fence. Just 4 blocks to King Street with free trolley service to King Street Metro and 4 blocks to the Potomac River with bike/jogging trail. Easy commute to National Airport, Crystal City, Pentagon City, National Landing / Amazon HQ2, Pentagon, downtown DC. Leave the car in the garage and enjoy all that Old Town has to offer with its historic setting, abundant restaurants, shopping, and multiple grocery stores at your doorstep. MOVE-IN NOW! This Alexander home features 10 foot ceiling on Main Level, Living Room gas Fireplace, main level balcony with natural gas line for grilling, large windows for sunny rooms, Snaidero kitchen cabinets, Quartz countertop with waterfall edge, Thermador Appliances, Loft for entertaining opens onto rooftop terrace with outdoor wetbar, gas line for grilling rooftop TV Hook-up. *Photos reflect Model Home. To be built Alexander home for end of 2019 delivery. Features 10 foot ceiling on Main Level, large windows for sunny rooms, Snaidero kitchen cabinets, Quartz countertops, Thermador Appliances, Loft for entertaining opens onto rooftop terrace. *Photos reflect Model Home. SPRING 2019 DELIVERY! AVAILABLE FOR PRE-MARKET SALE! Rare 1/2 acre lot. OVER 4,700SF. Luxury finishes. Culinary KIT opens to great room. Custom trim+oversized crown molding. Open concept w/formal living spaces. Spacious LL w/Rec Rm/5th BR+BA ideal guest suite. ML mudroom. Grand MBR w/spa shower+designer features. UL laundry. Detached 2 garage. STILL TIME TO CUSTOMIZE. Pool/screen porch option. OPEN BY APPOINTMENT FOR PRE-CONSTRUCTION SALES! Perfectly situated along the Old Town waterfront, Robinson Landing will feature new townhomes and condominiums, shopping, dining, a revitalized pier, new public promenade more. Residents will enjoy luxury amenities including state-of-the-art fitness center yoga studio, all just steps from the Potomac riverfront. 2 parking spaces included. 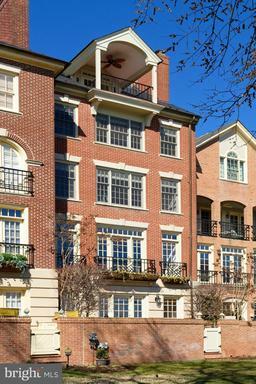 RIVERFRONT end unit townhome with panoramic views of Rivergate Park and the Potomac River. One of only two interior end units in the Rivergate community. Wake up to the sunrise every morning in this stunning, 3 bedroom, 3.5bath residence, equipped with a chefs kitchen with premium stainless steel appliances designed by Stuart Kitchens. Custom plantation shutters and brand new windows throughout the entire home. Retractable custom awning over the private patio overlooking the impressive views. Renovated master bathroom with high end finishes and marble. Vaulted ceiling in the master suite with French doors equipped with retractable hidden screens to enjoy river breezes Two car garage with custom built-ins. Enjoy Alexandria City firework celebrations on your own patio and watch the Tuesday night boat races from the comfort of your own home. Walkable lifestyle included! Walk to gym, King Street, restaurants and much more! 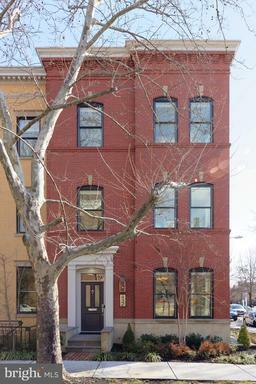 Renovated historic property w 3 story addt. Approx 2700 sq ft. High end quality craftsmanship detailed woodwork. LR w/gas fpl wet bar, formal DR, Chefs kit w/granite island bkfst bar opens to FR w/gas fpl. French doors to covered patio deep yard shed. Main lvl Mbdrm w/en suite 2 upper lvl BR suites. Heated flrs on LL Mba, custom WI closets in all BRs, 2 laundry rms. RIVER VIEW! 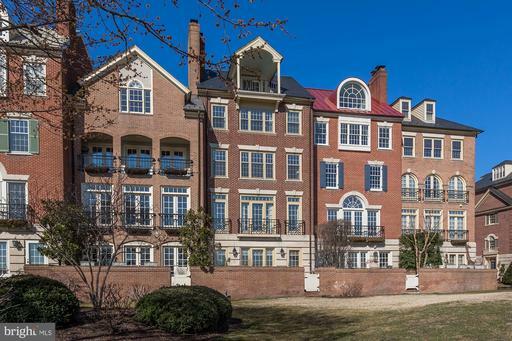 A spectacular Fords Landing 3 BR, 3.5 BA townhouse with views of the river. 9 ceilings on the main level with an open floor plan. A bright family room adjoins the white/stainless kitchen. A spacious master suite with his and her closets and a private balcony. The rec room offers a built-ins and two wine refrigerators with access to the patio. An attached two car garage completes this fine property. 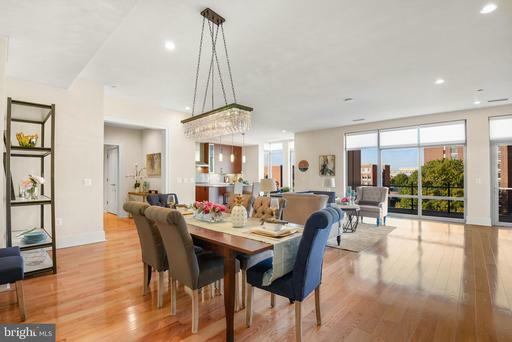 Exquisitely situated in the heart of downtown Alexandria, this spacious 2 Bedrooms 2.5 Baths Luxury condo unit in the iconic Oronoco wont disappoint! Elegantly decorated and stylishly built with 10 ceiling and widely open floor plan, it brings you one of best urban living experience from this rare find waterfront building! Enjoy the onsite fitness center, kids club, dog washing, outdoor pool, concierge, storage more! Loving and thoughtful updates have been utilized in this historic plaqued property. Great entertaining home to extend into private spacious backyard.Gourmet kitchen with tons of storage, pine wood floors restored in original rooms along with wood burning fireplace. 2 other gas fireplaces. Master bath has 6 point shower with massage tub, water closet with bidet. 2 car garage with remotes opens up to the fabulous manicured, perfect for entertaining backyard. Family room with kitchen island. Ask listing agent for list of upgrades. Walk 3 blocks to King St., Metro, stores, groceries. 4 level woodlined elevator tops off the many high quality features of this beautiful home. BEAUTIFUL HISTORIC PROPERTY WITH MANY ORIGINAL AND RESTORED DETAILS. Beautiful 1872 historic Victorian property with 3 floors+ bsmt. on left side of duplex property. Major restoration of original period details done. 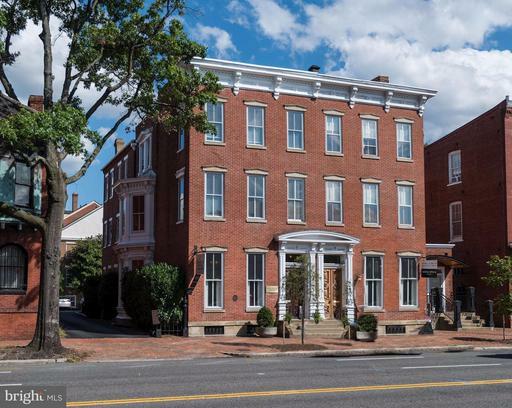 High 11 ceilings, gorgeous plaster crown moldings, original heart of pine floors, 6 Italian marble or opal tile fireplaces, pocket doors, fully renovated kitchen 4 baths, front back stairs to upper level. Lower level/basement has sauna, exercise room, shower plus storage space. Major systems updated, 2 assigned parking spaces convey in parking lot behind building. Recent years the property has been a law office but could be Live and Work opportunity. 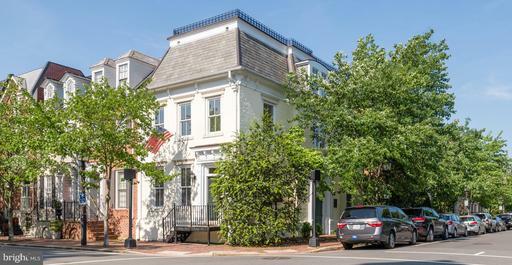 Centrally located in Old Town Alexandria. Easy access to Reagan National Airport 7 minutes and to Pentagon, new planned Amazon Hdqr. and Washington, DC. 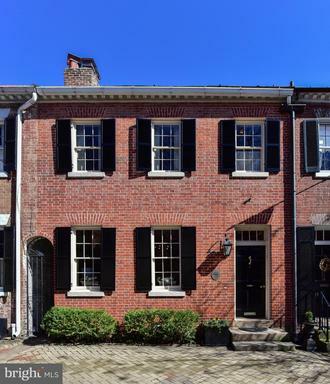 STYLISH ELEGANCE WITH RIVER VIEWS- 109 Pommander Walk is nestled in the sought after SE Quadrant of historic Old Town. The ambience surrounding this home is extremely peaceful but still offers the perfect access for exploring the heart and soul of the city. 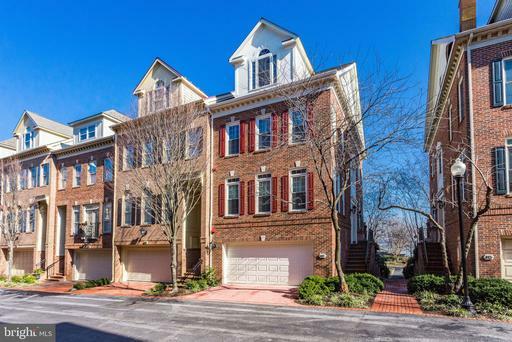 Only steps away from the waterfront of the Potomac River and popular Lee Park, feel your stress flow away with the tranquil setting while enjoying every residential convenience close at hand; boutique shopping, award winning dining, bike/jogging paths, and everyday gourmet grocery needs. 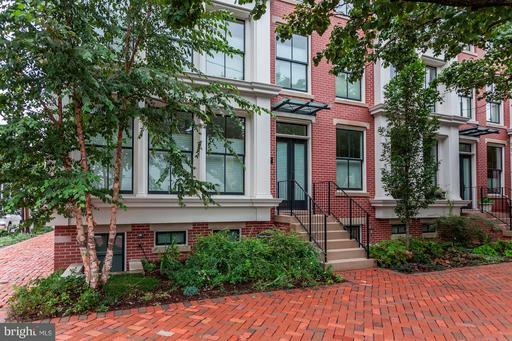 The front facade of this charming brick Federal townhome greets you with professional landscaping and chic modern colors. Upon entering, the welcoming foyer will make a lasting impression on visitors with its sleek marble floors and warm setting. The open main level was designed to suit all occasions from entertaining guests to relaxing after a day at work and is a perfect balance between formal and casual living. With gleaming hardwood floors, architecturally appealing columns and classic crown molding the elegance of this space is memorable. To start with the kitchen; a charming galley style that was designed to offer the most in functionality and appearance is crisp and clean, with popular subway tile backsplash, stainless appliances KitchenAid Architect II Series - oven, dishwasher and 42" french door refrigerator, Wolf microwave, Broan oven hood, Caesarstone countertops, a brilliant mix of Mouser custom cabinets and soft close drawers and an enviable deep apron sink. Exiting the kitchen you enter the dining room with chair rail detail and a charming secret "broom" closet under the stairs for extra storage. Taking a step down into the living room that is generously highlighted by its tall ceilings, custom built-in bookcases with glass shelves and cabinets for storage, a gas fireplace with mantel and marble hearth, and an exquisite bank of French doors that open to the outside patio space. Just stunning! As we move to the next level of the home, the family room is enveloped in light coming from the wall of French doors. Through those doors step out onto a small balcony that overlooks the private enclosed patio, a lush garden and serene river views. It also boasts the second gas fireplace with white mantel and marble surround, recessed lighting and built-in shelves for displaying all collections and books. A gorgeous hallway bath with double vanity and ample storage is connected to the Master bedroom with walk-in closet. This floor could be used as an entire master suite if desired. The next level up has two graciously sized bedrooms, both with ensuite baths, and a laundry room. Moving to the top level is the final bedroom, fourth bedroom or loft, with ample storage and full bath. Smartly-placed skylights bring an abundance of natural light into this bedroom. As previously mentioned, the living room connects with the outdoor area to form a versatile indoor/outdoor retreat for the avid entertainer. Envision yourself reading a good book, soaking up some sun or organizing grand soirees. Understated yet beautiful landscaping completes the picture. Come and see for yourself, but be prepared to fall in love! 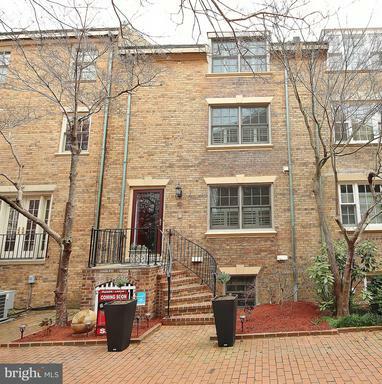 3/24 OPEN HOUSE CANCELLED - APPROXIMATELY 5 MILES TO CRYSTAL CITY!-***NEW PRICE! $100,000 PRICE ADJUSTMENT! 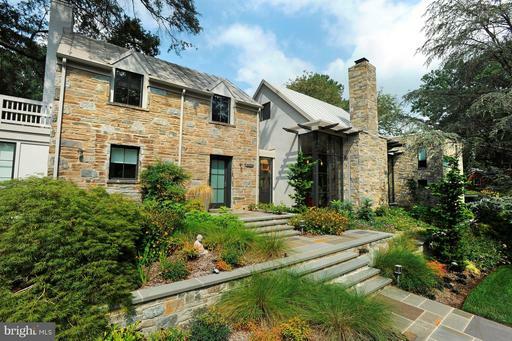 - Stunning 5 BR/3.55 BA CONTEMPORARY! Architecturally Unique combination of Old/New with Huge Addition and Renovated into a Large 5,545 SF LUXURY home w/2 Car Gar. Large Open Main Living Space w/Loft/High Ceilings/Floor to Ceiling Windows w/Incredible Stone FP and Gourmet Kitchen. Professionally Landscaped Gardens. Also available for lease at $8,000/month. 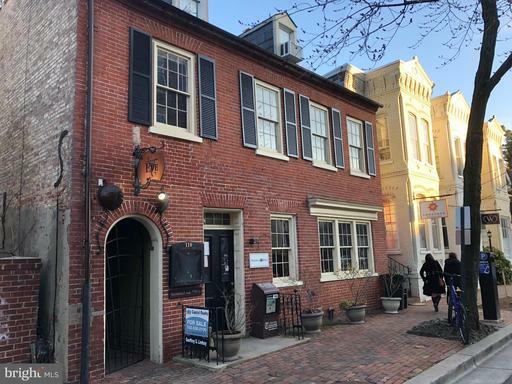 Located 2 blocks from King St. in the heart of Old Town, this Circa 1920 detached junior office building zoned CD has a multitude of potential uses including development opportunity for 5-6 rental units. Over 3,500 sq. ft including the charming 16 X 21 carriage house with attic is included. Lovely brick patio with arbor separates the 2 structures. Interior features elegant architectural elements including arches, mantels over the 6 fireplaces, period millwork, decorative moldings and wide plank pine floors throughout. Currently used as office space with 10 offices and a secretarial area. 2 rental units on the upper 2 levels. Meticulously maintained colonial townhome in the sought after waterfront community of Fords Landing. Southeast quadrant living at its very finest. Two car attached garage, deck for dining off kitchen. 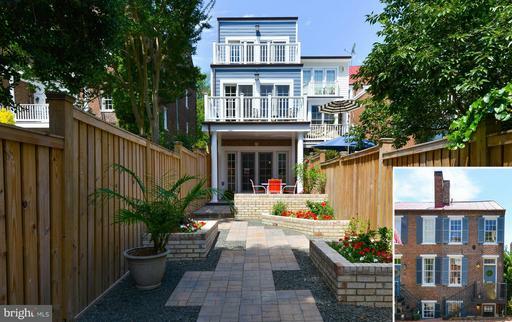 Located in an enclave of 18 all brick townhomes ~the Mews~, this exquisite unique home is the product of quality renovation in 2000. Over 3000SF of perfectly appointed space. The interior of this home was rebuilt from the ground up. Originally the kitchen, laundry and dining room were located on the lower level. Each level of this home was reconfigured for optimal use functionality. Situated near the corners of Princess Royal Streets, this fine home is central to the amenities of Old Town all which it has to offer. 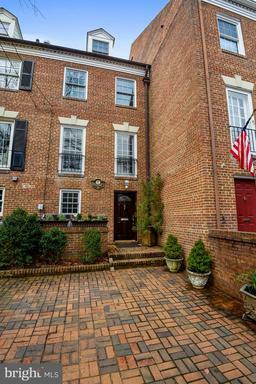 You are 3 blocks from King Street 4 blocks to the Potomac River. City Hall is right down the street so are all the restaurants, shops and the hustle bustle of the business corridor, yet this residential area is just far enough away that street parking is not an issue. 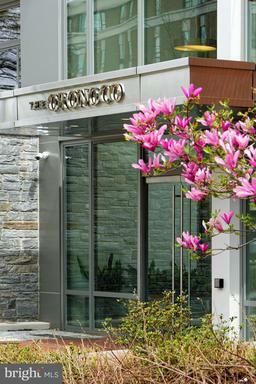 The flagstone patio was completed in the spring of 2007 provides a marvelous getaway in the middle of the city. The Mews, itself provides a lovely setting of mature trees plantings which the residents loving maintain as there is NO HOME OWNER ASSOCIATION for this community. Recent improvements include:Exterior paintingPower washing of patioNew patio gateNew staining of fenceNew Marvin 2nd Generation Windows and French DoorsNew light fixtures throughoutNew Ceiling fans throughoutNew double sink vanity, mirrors, lights, countertop, sinks and fixtures, new high comfort toilets in Jack and Jill bath.New light fixtures and comfort toilets in both powder rooms.New vanity, countertop, sinks, fixtures, lighted mirrors and comfort toilet in Master Bath. Two Shower wall units in master shower.Interior freshly painted with neutral color scheme throughout.During the initial renovation, the townhouse was gutted to the bare cinder blocks. New plumbing, electric, cable, phone was installed throughout. Then new drywall was installed throughout. New vinyl windows were installed at the time, subsequently replaced last year with the Marvin windows. Every piece of molding was replaced. Doorways were widened and rooms reconfigured. Gas was run from the street and the two fireplaces were converted to gas. There is gas cooking, a gas water heater and a natural gas grill on the flagstone patio.The North side of Old Town is a wonderful place to live. Close enough to the restaurants, shopping and other amenities of Old Town without out being bothered with the commercial activity of city center. Two metros are within healthy walking distance and commuting is EZ either via the George Washington Parkway or the Beltway. Life is good in Old Town! NEW PRICE!! Brick paved private parking at the front entrance provides easy access to your retreat after a long day at the office and invites your guests to enter the solid mahogany front door, surrounded by patina covered copper gutters and downspout into a home reflective of colonial era Old Town. 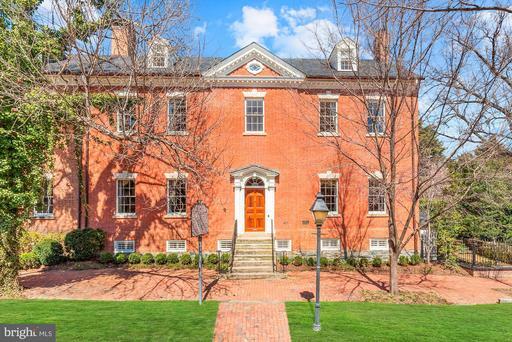 Upon entry, early 19th century style raised panel wainscoting topped by used brick and colonial crown molding greets the eye in the spacious slate floored foyer. Antique doorknobs and locking plates entice you to open the 6-glass pane French doors to explore the ground floor bedroom and adjoining powder room. The commanding 9~ ceilings and built-in bookcases in the Living Room frame the stained walnut gothic fireplace surround as two twin glassed French doors beckon to the private retreat at the rear of the property. This refreshing garden showcases raised brick planters, with a tumbled blue stone walkway leading to the preserved natural cedar fence gate that opens to the rear easement. Moss covered boulders form a dry creek bed sheltered by Japanese maples and a mature juniper accented by red crepe myrtle and tall evergreens. The soft flowing ripples of the three-tiered Italian-styled fountain sings a melodious tune beneath the master bedroom window.Elegantly lit by a center hung antique 2-tier, 20-light, 112 crystal chandelier beneath a circular acanthus leaf medallion showcased by recessed dimmable mood lighting, the Dining Room presents the perfect setting to entertain friends and neighbors. Colonial 3-Piece dental crown molding with French gallery trim allows the art collector to rotate the display of artwork without marking the walls.Beneath tall, custom distressed ash cabinets, the soft glow of dimmable under-cabinet LED lighting enhances the gourmet Kitchen with countertops of ogee edged granite, accented with a picture framed slate and travertine backsplash. Top of the line appliances include the gun metal stainless finish of the oven, microwave/convection oven, glass cooktop with vent hood and warming drawer by Wolf, the side-by-side 48~ Subzero refrigerator/freezer, and the FisherPaykel Double DishDrawer dishwasher. Store and display your favorite cookbooks behind the antique glass front of the over counter cabinet. For the sommelier, the in-kitchen bar with antique glass doored wine rack holds 48 bottles of your favorite vintage and protect and display your flutes and wine glasses in the 7 row under cabinet stemware holder. The well-lit spacious center island comfortably seats 4.Roughhewn beams and stucco textured walls in the Kitchen and brick walled Family Room compliment the stone hearth of the second woodburning fireplace, which promises intimate warm moments during the cold winter months.The open stairwell sports Victorian metal grates for the HVAC returns and register covers adding a distinctive charm and refinement to the natural finished wide plank Southern Yellow Pine floors throughout this impressive home. All windows and French Doors on upper levels have been replaced.Be transported to your own private Grecian spa in both the Master and main bathrooms, appointed with travertine floors, wainscoting, 3-piece mosaic chair rail and 2-piece crown surrounds. The upper three bedrooms provide ample closet space for the most discerning wardrobe and render peaceful views with natural light.Climb past a 19th century armoire front covering the air handler unit, to the private suite containing a large fourth bedroom, full bath and laundry closet with Whirlpool Duet Steam washer and dryer on pedestal storage drawers. Additional easy access extra storage space is provided by four under-dormer closets and a full footprint attic all floored and lighted. 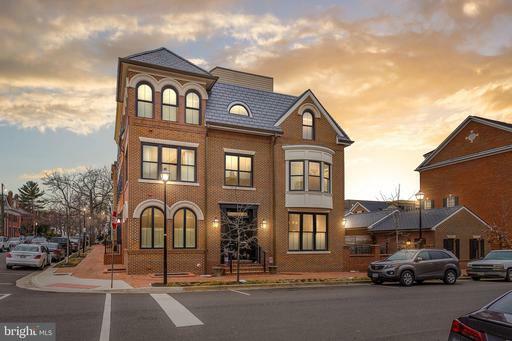 Located just 2 ~ blocks from the restaurants, shops, and galleries along King Street and just 4 blocks from the Potomac River waterfront, this home is an easy stroll to the many city parks and historic sites that this charming town has to offer. 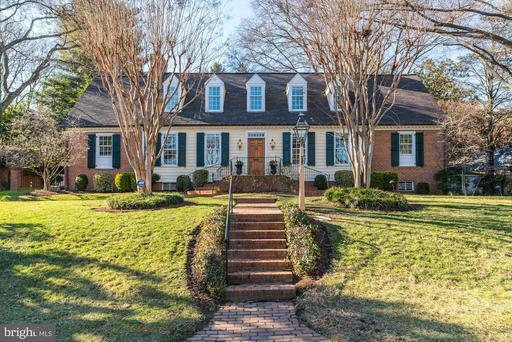 Gorgeous plaqued home circa 1800 with many recent updates. Elegant yet comfortable living spaces featuring windows on 3 sides, tall ceilings, period woodwork, lots of built-ins, 3 gas fireplaces, front and rear staircases. Formal dining room with French doors to private garden patio. Main level family room, gourmet kitchen with granite counters and breakfast bar and breakfast room. 3 upper level bedrooms and 2 full baths including the Master suite with lux. en suite. Unfinished lower level storage plus attic storage. 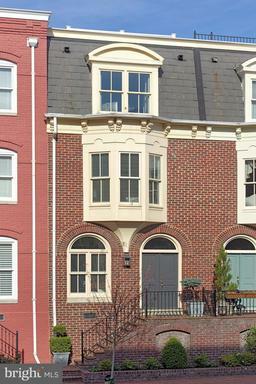 Dazzling new kitchen in this Queens Row townhouse, overlooking the Potomac River and Founders Park! High ceilings, hardwood floors throughout, 2 gas fireplaces with classic mantels and custom built-ins in the living room and family room. 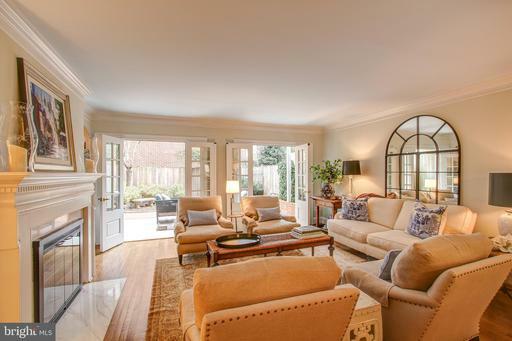 Double glass doors with glass transom in the living room open to a private patio. And you can see the river from the bay window in the 2nd floor family room! 3 very spacious bedrooms with ensuite baths allow for sitting areas in each bedroom. The master bath features neutral marble with seamless glass shower door. Two walk-in closets complete the master suite. A rooftop deck is the icing on the cake.....you can see the fireworks from this deck. There is deeded parking for 2 cars directly outside the patio gate. Walk to the riverfront park across the street, walk to restaurants and shops....the premier location in Old Town for convenience and a great life style! OPEN BY APPOINTMENT FOR PRE-CONSTRUCTION SALES! 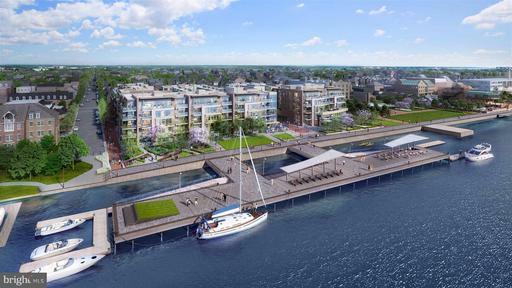 Perfectly situated along the Old Town waterfront, Robinson Landing will feature new townhomes and condominiums, shopping, dining, a revitalized pier, new public promenade more. Residents will enjoy luxury amenities including state-of-the-art fitness center yoga studio, all just steps from the Potomac riverfront. Comes with 1 parking space, and second available for purchase.